Will Florida become a hemp ‘pioneer?’ Senate panel gives hemp program the green light. A bill aimed at making the hemp plant an agricultural option for farmers across the state took a second step forward Monday, passing unanimously through the Senate agriculture committee. Bill sponsor Sen. Rob Bradley said this bill aims to make Florida a “pioneer" when it comes to the burgeoning crop. The Fleming Island Republican’s SB 1020 authorizes the Department of Agriculture and Consumer Services to administer a state hemp program and sets up rulemaking and a board of experts to develop the system. 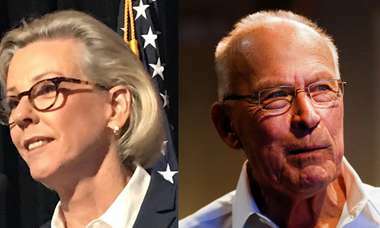 The idea is modeled after what Kentucky has done to revitalize farmland once used by the tobacco industry, Bradley said. Hemp, a form of the cannabis plant, contains only trace amounts of THC — the naturally occurring component in marijuana that produces a high — and uses less water and fertilizer to grow. Hemp has been cultivated for approximately 10,000 years, according to the University of Florida’s Industrial Hemp Pilot Project, and can be used for fiber, building materials, animal feed and pain relief. The 2018 Farm Bill allows a state department of agriculture to submit a plan to the United States Secretary of Agriculture and apply for primary regulatory authority over the production of hemp in their state. The plan, which is required under Bradley’s bill, must include a procedure for tracking land upon which hemp will be produced as well as testing, disposal, enforcement, inspection and certification procedures. The bill doesn’t allow for Floridians to grow hemp for individual use, which is also not allowed under the federal farm bill. Bradley’s bill also authorizes the department to oversee the development of pilot projects for the Institute of Food and Agricultural Sciences at UF, Florida Agricultural and Mechanical University and any university in the state that has an agriculture program. “Because there will be unforeseen issues, it’s good to have experts in the industry to get together and discuss the challenges and the opportunities that are present,” he told the committee. The bill passed its first committee stop unanimously on March 6, and will be heard in the Senate Rules committee next. A similar House version of Bradley’s proposal sponsored by Republican Rep. Ralph Massullo is being heard Tuesday. According to the bill’s staff analysis, at least 38 states considered legislation related to industrial hemp last year. Those bills ranged from clarifying existing laws to establishing new licensing requirements and programs. In 2018, Alaska, Arizona, Kansas, Missouri, New Jersey and Oklahoma enacted established hemp research and industrial hemp pilot programs. 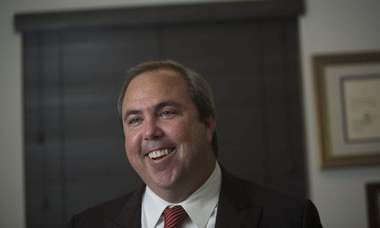 Jeffrey Sharkey of the Medical Marijuana Business Association of Florida helped write the legislation that authorized the Department of Agriculture to issue hemp field study permits through Florida A&M and the University of Florida. UF’s two-year program is housed on three sites across the state, where researchers are studying the risk of hemp plants becoming invasive threats as well as identifying hemp varieties suitable for Florida’s various environments. The first sponsor of the pilot was Green Roads, a CBD oil manufacturer. Researchers have since said that hemp is proving successful at adapting to Florida’s growing conditions, which vary dramatically across the state. A staff analysis of Bradley’s bill said Florida farmers will likely benefit economically by the opportunity to plant, process and sell hemp and hemp-based products. Bradley said he hopes the Legislature understand that the bill’s intent is to get an emerging industry to be viable in the state of Florida “while also considering the guides” the federal government has provided in the farm bill. Florida’s Hispanic vote nearly doubled in 2018. What will it do next year? The Hispanic-specific data, compiled by Univision and Political Data Inc., shows that campaigns and candidates who make early investments in Spanish-language media and advertising efforts are reaching more potential voters in Florida than ever before. So you’re telling me there’s a chance. Firefighters overcome an obstacle. Department of Corrections gets blasted. Legislation would establish parents’ authority to direct “the education and care” of their child, but advocates worry about consequences for LGBTQ minors, many of whom may seek mental health services before they come out to their families. 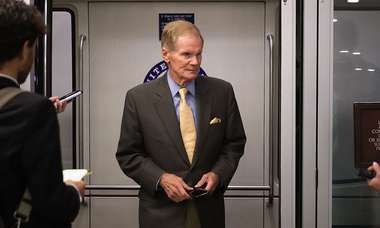 Was Bill Nelson vindicated by the Mueller report? He seems to think so. In a new statement, the former Democratic Senator said the report ‘makes clear’ why he warned about Russians accessing Florida counties.